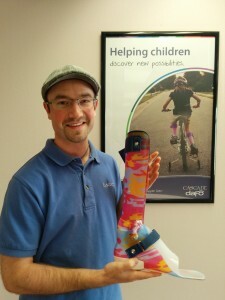 Ryan Shupe customizes pediatric orthoses for Bellingham-based Cascade DAFO. 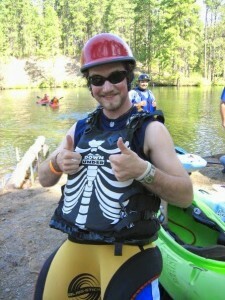 Ryan, about to lead a kayak trip at a children’s oncology summer camp, Camp Journey. Ryan’s work is also close to his heart. 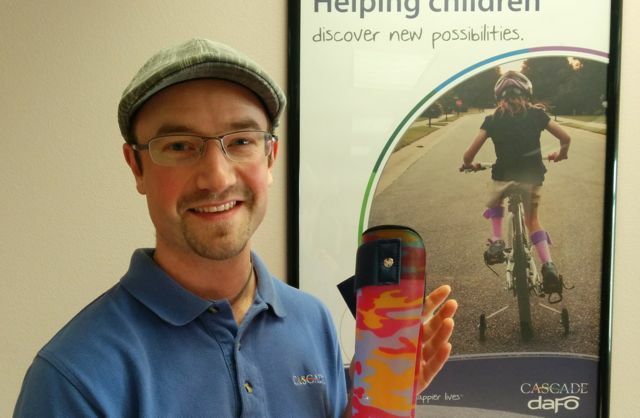 Over the past three years, he has become a Digital Modification Trainer and aided in research and development at Cascade DAFO, a Bellingham-based pediatric medical orthoses manufacturer. DAFO stands for Dynamic Ankle Foot Orthotic—a customized, flexible brace designed to help children with neuromuscular disabilities. 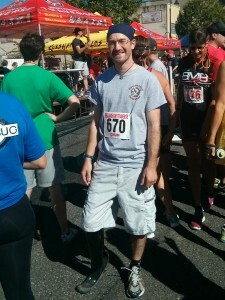 “In college, I studied pre-physical therapy—biology and physiology. It’s not enough to diagnose like an orthotist, but I am learning so much online about computer programming and applying that to my work.” Ryan uses a Computer-Aided Design (CAD) program to customize the fit of each brace to order as requested by orthotists. “Everything I do at work is unique. You can’t hire someone with this experience from just anywhere. DAFO is investing in me. We’re creating my skill set together.” The orthotics Ryan helps create are shipped to children across the country and internationally. Ryan at the start of the five-mile running leg of the Bellingham Traverse.